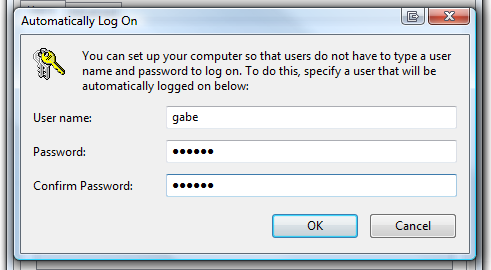 The very first tip I wrote in this blog back in Janaury 2008 was How to Configure Windows XP to Login Automatically. So here’s the Vista version of that same concept, if you prefer not to have to login to your computer every time you turn it on. Go to the Start menu and type netplwiz in the Start Search field. 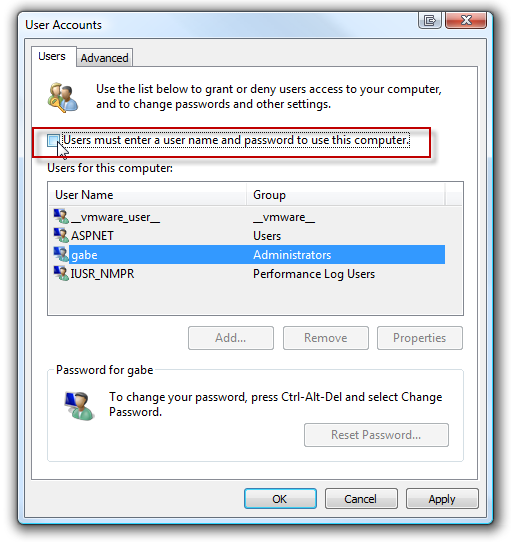 Hit Enter and the advanced User Accounts dialog will open. That’s it! From now on, when you restart your computer or turn it on, you won’t have to worry about typing in your password.